Why a Women’s Care Team? Pancreatic Cancer is certainly a newsworthy topic as it gets a lot of attention when it affects a common household name such as Alex Trebek, the long-time host of Jeopardy! Of course, even more devastating would be anyone that you know personally – which most of us have. What is pancreatic cancer and what does it mean to Alex Trebek? Although there are a few forms of pancreatic cancer, the most common is adenocarcinoma, and unfortunately it is the most aggressive. 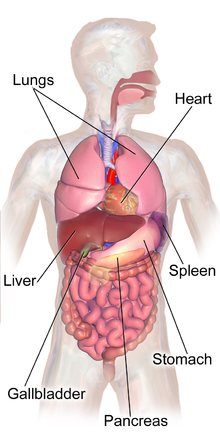 The pancreas is an organ that lies behind the stomach in the upper mid abdomen. The pancreas makes digestive enzymes that help you break down your food. It also makes insulin that regulates your blood sugar as well as other important hormones. Pancreatic cancer often presents with vague symptoms which is why it is often not diagnosed in an early stage. Like in Alex’s case, it is not found until it is advanced leaving no good treatment options. It is very important to understand that these are vague symptoms which are common and can be associated with conditions that are not pancreatic cancer. There is no good screening test for pancreatic cancer. It is often diagnosed with a CT scan of the abdomen. If you have any concerns, you should discuss it with your Digestive Health Specialist provider. Treatment typically includes surgical resection if the tumor is detected before it has invaded other surrounding structures. Chemotherapy also is a part of the treatment course. Only approximately 15% of people who are diagnosed are candidates for surgical resection. Of those, 85% have recurrence within 2 years. It is considered such a devastating disease because only 3-6% of all patients diagnosed survive 5 years. So, early detection is key. So, while this can be a very scary topic, I encourage everyone to focus on making good lifestyle choices to lower their risk for pancreatic cancer, and, again, discuss with your Digestive Disease Specialists provider any concerns or possible symptoms. Digestive Health Specialists is here to help you if you, or someone you know, would like more information, or if you are experiencing any of the above symptoms and would like further evaluation. To make an appointment, feel free to give us a call at 336-768-6211. Feeling irritable from your IBS? Caring for you, close to home – visit one of our five convenient locations! If you have a MyChart Login please click here. Otherwise, please call our office at (336) 768-6211 to request an authorization code. *As of February 21, 2018, Digestive Health Specialists, P.A. (DHS) associated with Novant Health Community Connect (NHCC). NHCC allows independently owned physician practices to access shared patient records with other providers within the NHCC and Novant Health System. This allows us to offer you the same individualized specialty care you have come to expect from DHS with enhanced communication between you and our office and between us and your other health care providers. One feature we are happy to offer is your new patient portal MyChart. If you are a current Novant Health patient then you may already have access to MyChart and will use your same login information. Thank you for choosing Digestive Health Specialists, P.A. for your care. *Epic and MyChart are registered trademarks of Epic Systems Corporation. Used with permission. If your visit to our office was on or before February 20, 2018 please use this link to pay your bill online. If your visit to our office was after February 20, 2018 please use this link to pay your bill online.